Have you seen Disney Junior’s “Miles from Tomorrowland” yet? This is a currently favorite in my house right now. If you haven’t had a chance to check out the show yet, you’ll definitely want to add it to your list to check out. It’s quickly become one of my favorite shows too. 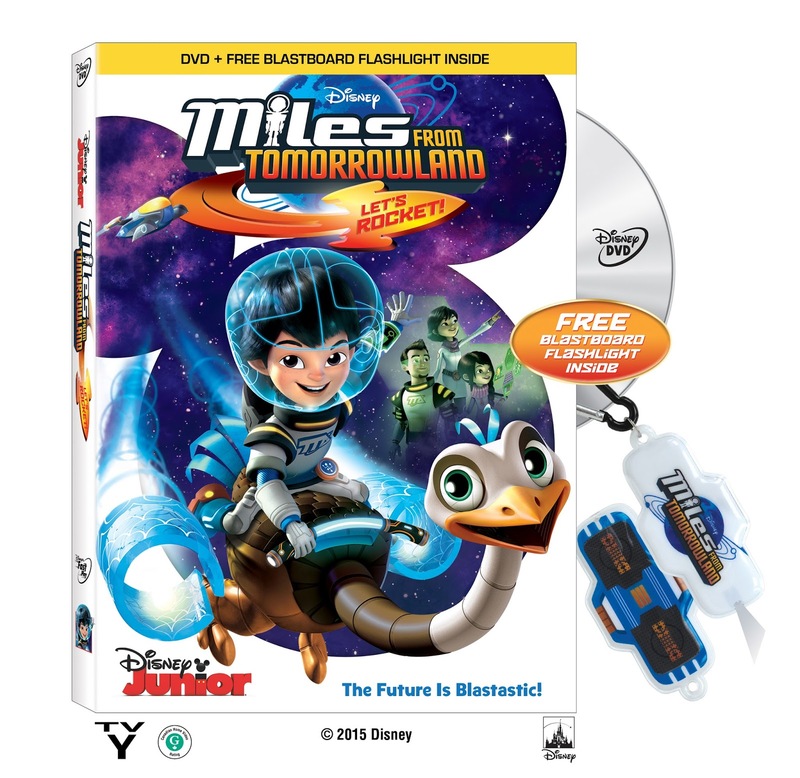 The “Miles from Tomorrowland” Let’s Rocket DVD releases this Tuesday, August 11, 2015 and the DVD even comes with a fun Blastboard Flashlight that you can’t find anywhere else. “Miles from Tomorrowland” is a fun intergalactic adventure that follows young adventurer Miles Calisto on fun outer space missions. Joining Miles on his missions is his mom and ship captain, Phoebe; his mechanical engineer father, Leo; his tech-savvy big sister, Loretta and his best friend and pet Merc, a robo-ostrich. Each episode follows the Calisto family as they set out on missions to help connect the galaxy on behalf of the TTA – The Tomorrowland Transit Authority. Miles, Merc and the Callisto family explore wondrous and diverse new worlds, taking young viewers and their families on a futuristic journey designed to fuel kids’ natural interest in space, and at the same time reminding them of the importance of what lies close to home – the family bond. Have you seen “Miles from Tomorrowland” yet?